In the Redmond area, roof repairs are often due to damage inflicted by ice dams. Ice dams are thick, heavy ridges of ice that can be found at the edge of the roof. 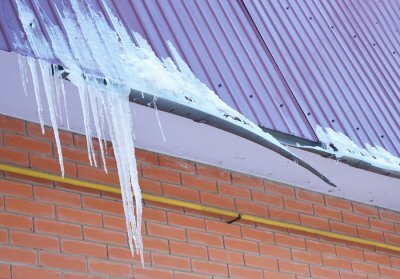 If not addressed promptly, ice dams can cause significant damage to your home, and require costly roof repairs. It is possible to prevent ice dams, even in northern climates. A roofing company can help you with this. Ice dams develop when certain wintry conditions are met. First, the roof must have snow on top of it. Second, the higher elevations of the roof must be above freezing on the exterior, and the lower part of the roof must be below 32 degrees Fahrenheit. These temperatures, if sustained over time, will cause the snow at the higher elevation to melt. The water will run down the roof, and freeze at the lower section. The result is an ice dam. Once an ice dam forms at the edge, snow continues to melt and flow down toward the dam. The freezing water will make the ice dam grow larger. Once the dam is large enough, the melting snow will no longer reach the parts of the roof that are at or below the freezing point. It will remain liquid, and this allows it to seep into cracks. The result is water damage in the attic, and eventually, the lower parts of the home. It’s possible for homes to be more susceptible to ice dams if the roofs weren’t properly installed. Consider asking a reputable roofing company to do an inspection. To prevent future damage throughout your home, it may be worthwhile to get a roof replacement before the next winter. Other steps to take include sealing all areas in the ceiling to prevent heated air from transferring from the main part of the house up to the attic. Heated air in the attic will cause the top of the roof to warm up, which allows snow to melt and form ice dams. Some homeowners take the extra step of having additional insulation placed in the attic. When it’s time to schedule a roof replacement in the Redmond area, ask the roofer about using Owens Corning’s ProEdge Hip and Ridge Shingles. These exceptionally well-designed roofing materials are often preferred by contractors, because they effectively resist the effects of moisture and wind. Watch this video to find out more about Owens Corning roofing materials. You’ll see how the ProEdge Hip and Ridge Shingles enhance the overall look of the new roof. They form a waterproof barrier and protect against high winds, but these ridgeline shingles also allow the attic to “breathe” for proper ventilation. These materials are compatible with many types of Owens Corning products to complete the roof. Which Material Should I Choose for My New Roof? The right choice in roofing materials in Redmond will leave you with a beautiful, efficient home, while the wrong choice can hinder your curb appeal as well as your comfort. Each of the different roof types offers its own advantages and disadvantages, and knowing them is the key to making the right decision. 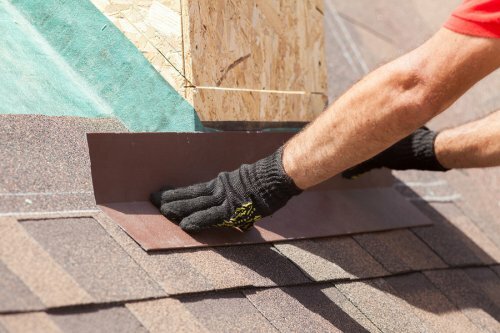 Between cedar shakes and shingles, asphalt composition, and synthetic shake, there are quite a few pros and cons you should consider before making your choice. If it’s time for you to upgrade your roof, keep reading and find out which material you should choose. If you are going for a rustic home design with a natural look, cedar shakes and shingles might be the way to go. Wood in general is known for its ability to add an organic flair to any design, and the roof is no different. Cedar shakes and shingles are particularly interesting because they age beautifully, and you get to watch the process happen. These roofs are also durable and efficient, so they’ll last through the long run and help keep your energy bills low. They also do a great job of holding up during inclement weather. Cedar shakes and shingles are wood, however, which means that you’ll need to offer regular maintenance to keep enjoying your roof. 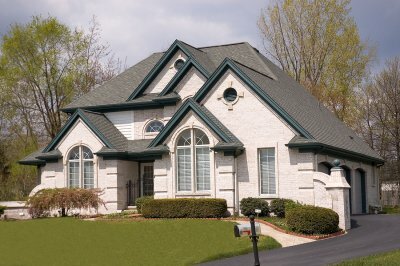 An asphalt composition roof is a great example of versatility and variety. This material comes in a surprising array of color options and design styles. Asphalt shingles can fit in with roofs of all different shapes, sizes, and configurations. On top of their aesthetic contributions, asphalt composition roofs are also great for families. They resist impact, stand up against storms, and even stop fire from spreading. It’s wise to have this type of roof installed in cooler climates. Like asphalt, synthetic shake is resistant to impact and fire, only these roofing materials are significantly lighter. They are still durable, and they don’t easily deteriorate from the sun. Synthetic shake roofs are also a “green” solution because they can be easily recycled at the end of their lives. Your roof will experience natural wear and tear over the course of the years. By keeping up on the roof repair requirements of your home, you can prevent a damaged roof from causing structural problems throughout your property. A company that specializes in roof repair and roof cleaning in Redmond will be able to assist you with all of your home’s roofing maintenance requirements. 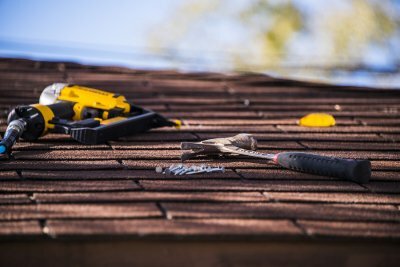 To help you determine when it is time to call your local roofers, here is a look at some of the most common types of roof repairs. The fascia is the portion of the roof that protects its lower edges. Typically, a roof’s fascia will be crafted out of solid wooden boards. Since the fascia provides your roof with its first layer of protection against the elements, this part of your roof can often suffer from water damage. If your fascia has begun to rot, mold, or warp, you will need to hire a team of roof repair technicians to replace this damaged roofing component. Your roof’s shingles are another component that may suffer from excessive wear and tear. Along with providing your roof with exceptional style, your roofing shingles are also designed to protect the structural components of your roof from water damage, UV exposure, and high winds. When you start to notice that several of your shingles are broken or missing, this is a clear indication that you need to schedule a shingle replacement with your local roofing company. When heavy rains arrive in your area, your gutters will protect your roof and foundation from water damage. Gutter cleaning is among the most common types of roof repairs that homeowners schedule for their properties. Throughout the course of the fall and winter season, falling leaves and debris can clog up a gutter system and cause it to bend or sag. If your gutters are clogged or broken, do not hesitate to set up professional roof repair services for your home. How Long Will a Cedar Shake Roof Last? 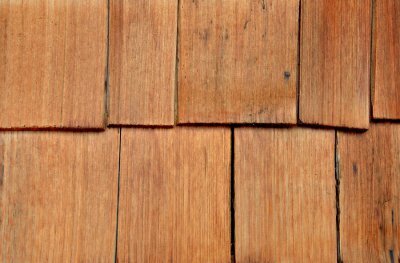 Cedar shake shingles are among the most durable roofing materials that you can use to finish your new roof. When you purchase new cedar shake roof shingles in Redmond, you may have questions about how long your new roofing materials will last. A team of roof experts can install your new cedar shake shingles correctly, which will help them fulfill their longest possible lifespan. In general, cedar shake shingles will last much longer than asphalt shingles. With correct maintenance, you can anticipate that your cedar roofing will remain in quality condition for up to 50 years or longer. 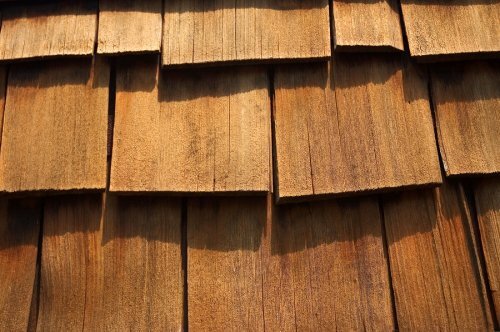 To achieve the best longevity from your cedar shingles, you will need to hire a team of experienced roof contractors for your initial installation. Your contractors will know how to properly treat, seal, and install your cedar shingles so that they are completely protected from rain, wind and other weather conditions. If you are seeking roofing materials that are built to last, cedar shake shingles may be suited for your needs. A roof replacement is a terrific investment for your property. When you hire a team of roofing contractors near Redmond to install a new roof , you will improve the value, appearance, and durability of your home. 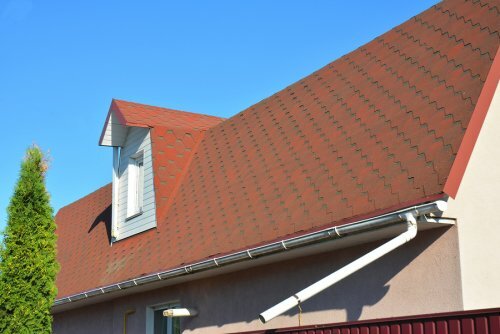 When you choose to replace your roof, you will also have the opportunity to choose durable roofing shingles or other materials that have been specifically engineered to stand up to harsh weather conditions. To highlight the terrific advantages of setting up a consultation with your roof contractors, read on to learn all about the benefits of installing a new roof for your home. A new roof will provide your home with increased protection from the elements. When your existing roof starts to wear out and deteriorate, it will be more vulnerable to rain, wind, UV radiation, and other environmental factors. If you allow your roof to fall into disrepair, your may find that your home suffers from water damage and other serious structural issues. Your brand new roof will eliminate this danger by providing your home with better protection. When you replace your old roof, you will also improve the safety and structural integrity of your home. During a major storm or other unexpected event, an old roof may be in danger of collapsing or experiencing other extreme safety issues. With a brand new roof securing your home, you will have the peace of mind that comes from knowing that your property is protected from damage. Roofs of every age and condition require regular maintenance in order to retain their structural integrity and safety. When you install a new roof for your home, you can rest assured that it will be easier to maintain throughout the years and seasons. Your roof may also be able to provide you with a maintenance plan, which will provide you with pre-scheduled maintenance services for your new roof. By taking the time to set up routine maintenance procedures, you can keep your new roof in superior condition. Harsh weather conditions can take a toll on the quality and condition of your roof. 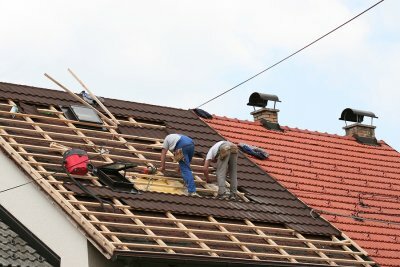 When you are in need of roof repairs, you should hire a team of experienced roof contractors near Redmond. In this video from Angie’s List, you will receive some essential tips for repairing and maintaining roofs. By clearing debris from the surface of your roof and checking your shingles for signs of damage, you can maintain your roof for years to come. If you have determined that your property is in need of quality roof repairs, you should always trust these services to the experts. 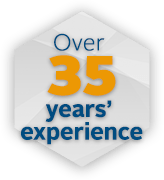 With assistance from a team of roof repair professionals, you can rest assured that your roof remains in perfect condition for decades.